It was an interesting exchange on Stefan Struve’s Twitter account a few weeks ago, with the 6-11 ½ “Skyscraper” discussing life in the NBA. And while it was a playful back and forth, with his size and athleticism, had he ever considered hitting the basketball court? Struve laughs, knowing that there’s business to be taken care of in his day job first, beginning with Saturday’s UFC 222 matchup against former heavyweight champion Andrei Arlovski. It’s Struve’s first bout in Las Vegas since 2012 and first in the States since 2014, making the Netherlands native laugh because one of the reasons why he set up his camps in south Florida was to be closer to fights here. UFC 222 is almost here! Order now for any device! Since that December 2014 loss to Alistair Overeem, Struve has gone 3-2 with wins over “Minotauro” Nogueira, “Bigfoot” Silva and Daniel Omielanczuk, with defeats to Jared Rosholt and Alexander Volkov. And following the loss to Volkov last September snapped a two-fight winning streak, Struve needed a break. That attitude is why Struve still sits in the heavyweight top 10 and why he remains one of the most dangerous big men in the game. Simply put, when his back is against the wall, he fights back harder and always has. In fact, it reminds Struve of the man he’ll be fighting this weekend, Arlovski. When the 39-year-old Arlovski defeated Junior Albini last November to snap that five-fight losing streak, it gave the career of the Belarus native a positive jolt that landed him on Saturday’s main card. 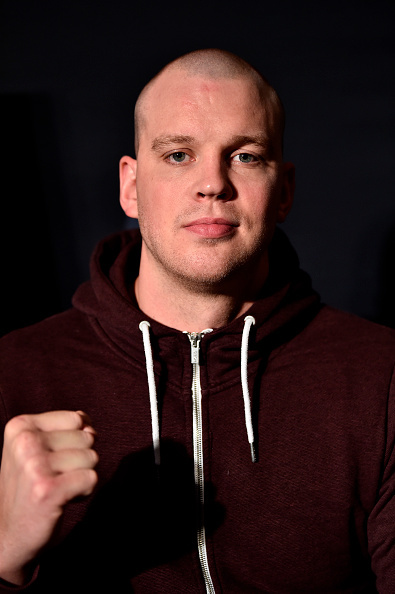 Now Struve wants to jolt his own career, and he’s preparing for a prime “Pit Bull” this weekend. This isn’t Struve building up his foe. He means every word of what he says, and one of the 30-year-old’s most admirable qualities is his honesty. Not just with the media or those around him, but with himself. That’s rare. Struve had his bad day against Volkov. Guess what’s coming next?